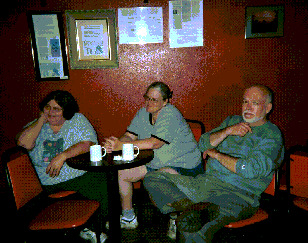 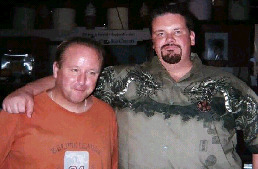 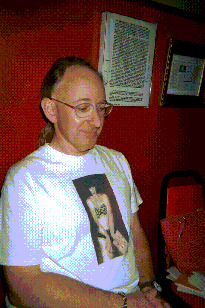 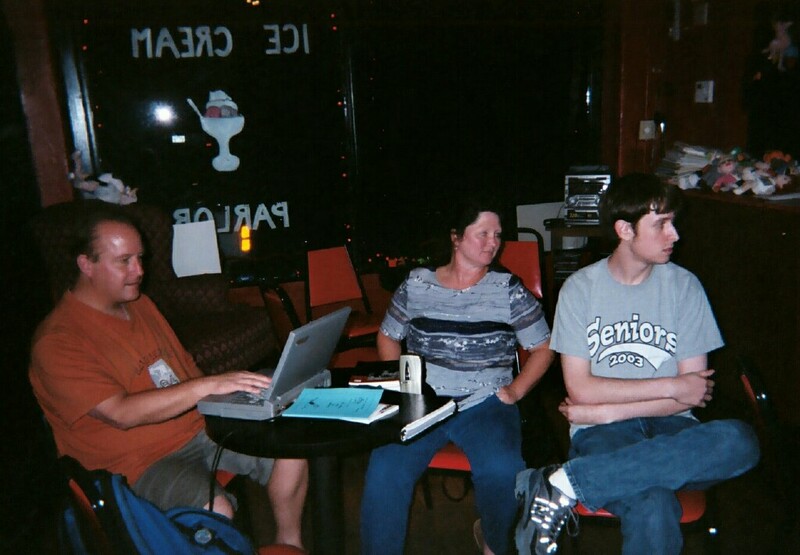 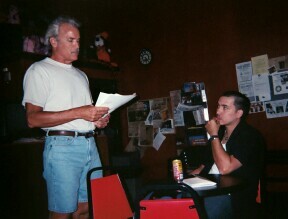 Below are some snapshots from \May-June 2003 at The Oak Cliff Circle of Poets weekly reading at Suenos Sabrosos. 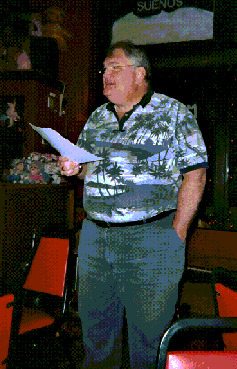 Neal Ostman looks on as Gordon Hilgers reads poetry. 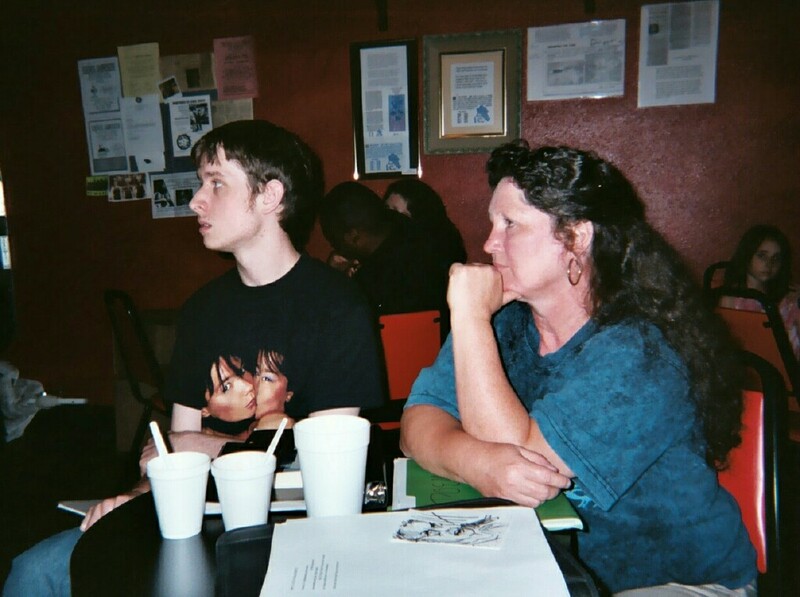 Janie and a young poet she brought out a couple of times from somewhere far away that she lives.